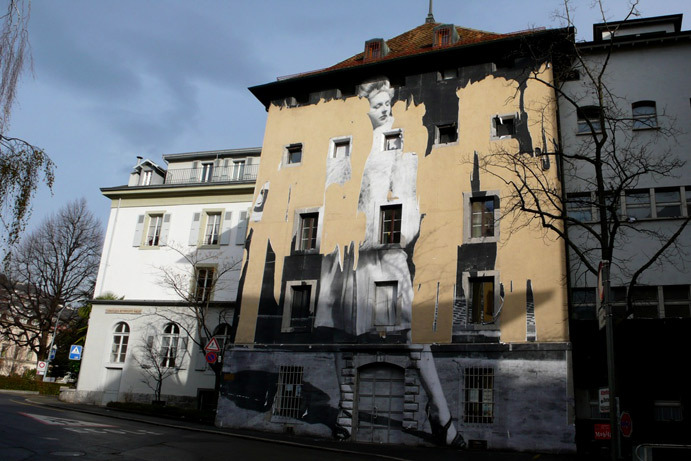 You are here: Home / All Posts / The Bold Guerrilla Art of JR! 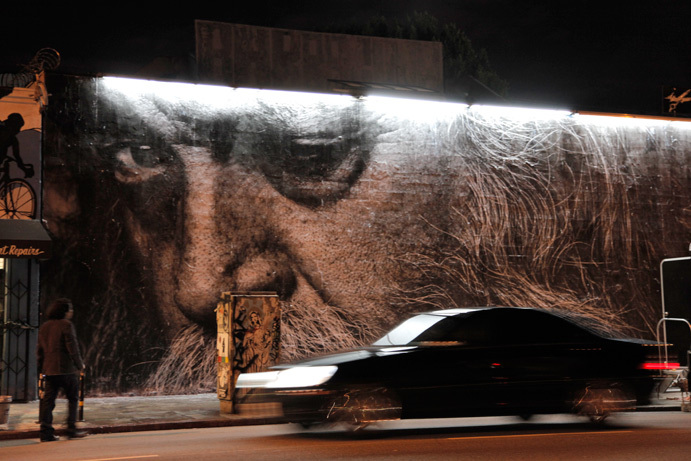 The Bold Guerrilla Art of JR! 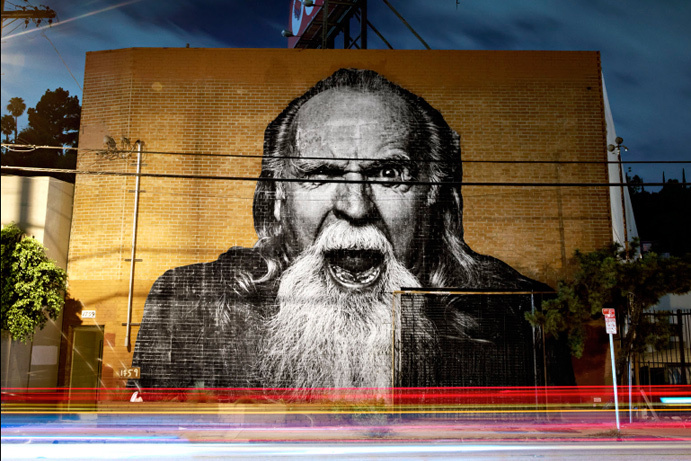 The renegade photographer known only as JR, is a man who uses street, building, roof and even railway car as a format for display. This is his gallery. But he’s no graffiti artist. He is a guerrilla photographer and painter. Is there truly a difference? To me? Yes. To you? That’s for you to decide. I am not one for large blocks of quote. But in this case, I think it does a fantastic job of explaining the Artist, his Art, his philosophy and his intentions. Much better, in fact, than I can. This is from JR’s website. “After he found a camera in the Paris subway, he did a tour of European Street Art, tracking the people who communicate messages via the walls. Then, he started to work on the vertical limits, watching the people and the passage of life from the forbidden undergrounds and roofs of the capital. 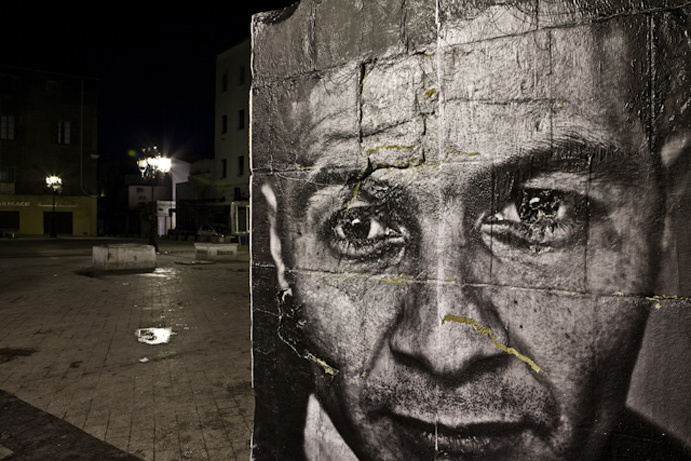 “In 2007, with Marco, he did Face 2 Face, the biggest illegal photo exhibition ever. 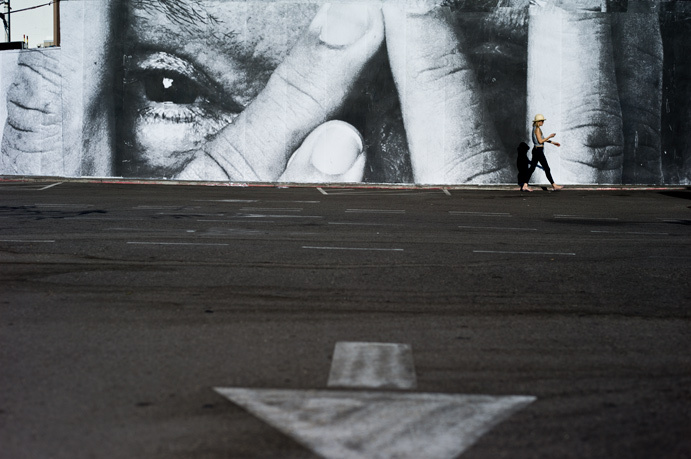 JR posted huge portraits of Israelis and Palestinians face to face in eight Palestinian and Israeli cities, and on the both sides of the Security fence / Separation wall. The experts said it would be impossible. Still, he did it. The renegade, guerrilla mentality of his art makes him either a marketing genius, or an artistic one. Either one is fine with me. I’m just happy he’s out there doing it. So JR, Give Us Art! salutes you! All images copyright JR 2011.